Within Citrix Consulting, we are often asked by customers on the proper syntax to use when deploying Citrix Receiver: single-sign on options, store declaration, start menu integration… the list is rather long. I have yet to find a consultant able to provide any command line options from the top of his head, so we often end up providing the link to the documentation. This tool is pretty simple, and I promise to update it with the new options introduced with the future Citrix Receiver for Windows! 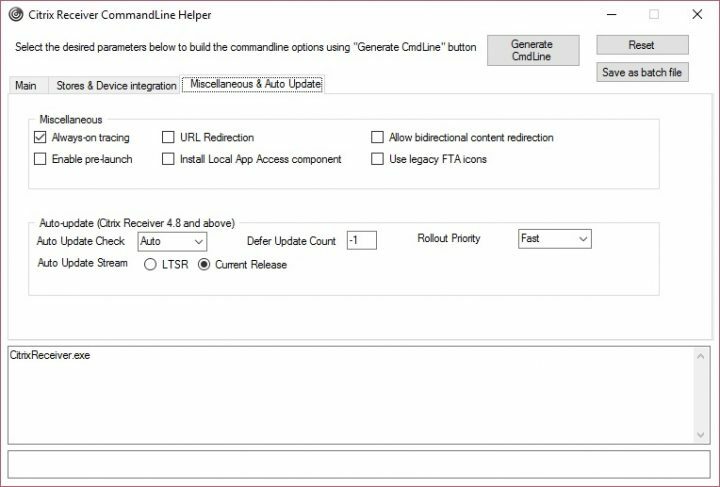 Select the options in the GUI, click on “Generate CmdLine” and the tool will display the full commandline in the tool, as well as copying it to the clipboard. 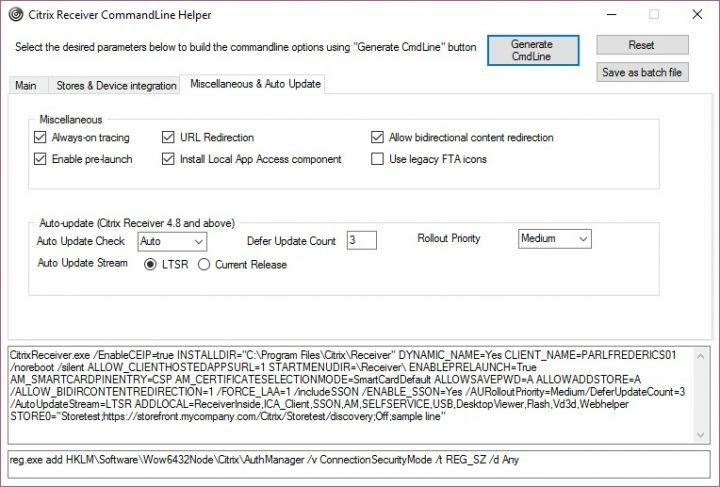 It’s as easy as 1-2-3 to generate a complex command line configuration for Citrix Receiver for Windows, and you can download it today from https://support.citrix.com/article/CTX227370 !